The National Insurance Commission’s (NIC) decision to increase the minimum stated capital for insurance companies from GH₵15million to GH₵50million is a good idea because it will consolidate the sector which has 56 players, Chief Executive Officer of Enterprise Group, Keli Gadzekpo, has said. He said the move will lead to bigger insurance companies and a much stronger industry, because smaller companies operating on periphery will merge in order to meet the 233 percent jump. “If what happened in banking sector is anything to go by, then there may be a certain level of consolidation – whereby those who think it is a good idea to come together in order to meet the required capital will do that,” he said, adding: “We currently have a lot of small insurance companies, and some of them may find it prudent to come together,” Mr. Gadzepko said. Mr. Gadzekpo spoke to the B&FT in Accra on the side-lines of the Enterprise Market launch – a one-stop centre for all the services and products offered by Enterprise Group. He said Enterprise Insurance, a member of the Enterprise Group, is currently one of the leading insurers in the country with diversified portfolios in general insurance, pensions, investment, funeral management, among others; and is well-capitalised and readily able meet the regulator’s required minimum capital. 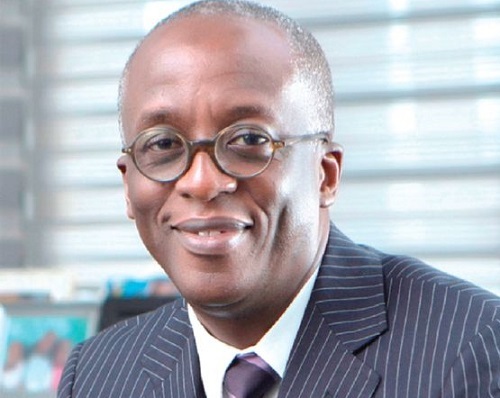 According to the NIC, the recapitalisation exercise – which is expected to be announced in the coming months – will also see the capital of reinsurance companies go up to GH₵125million from the present GH₵40million, while that of insurance brokers increases from GH₵300,000 to GH₵500,000. Meanwhile, with the current GH₵15million minimum capital introduced in 2015 for insurance companies, a number of them are said be struggling to meet it. The impending raise in minimum stated capital is thus expected to lead to mergers and acquisitions, or the possible folding-up of many industry players. On the company’s expansion into West Africa’s biggest economy, Nigeria, the CEO said: “We are working very hard, and by end of this year Enterprise will have a presence in the Nigerian market”. The Enterprise Market, a one-stop-shop, will provide all the services of various subsidiaries under the group: Enterprise Life; Enterprise Properties; Enterprise Trustees; Enterprise Insurance; and Transitions, a funeral management subsidiary. Commenting on the launch, Mr. Gadzekpo said: “We want to ensure that this seamless client experience is replicated across all our customer touchpoints. So, we will continue to roll out one-stop-shops at all our branches,” he said. Located at the Advantage Place – the Enterprise Group’s headquarters in Accra, the launch brings to five the total number of Enterprise Markets in the country.